What services does your office provide for spouse sponsorship? What services does your office provide for spouse or partner sponsorship applications? 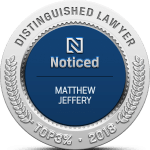 Matthew Jeffery’s law office provides a full service for the preparation, filing, and processing of spouse and partner sponsorships. We will first assess your case to determine which type of sponsorship should be made: common-law partner, conjugal partner or spouse. We will also assess where the application should be made, as there may be various options depending on where the couple is located and on their nationalities. In addition, we will identify any problems or weaknesses in the case and devise a strategy to deal with the situation. 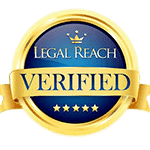 After deciding how to proceed with the case, we will help you to obtain all necessary forms and documents to support the application. We will then put together the final application and file it for you with the appropriate immigration office. 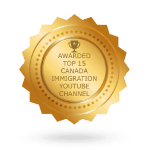 As part of this process we will prepare detailed submission in writing to the immigration authorities explaining your case to them and providing the information necessary to enable them to make a prompt decision in your favour. Once the application has been filed we will then correspond with the immigration authorities on your behalf in order to complete the processing of the application. We will follow up as necessary to ensure that the application proceeds expeditiously, and will inform you of any requests for further information, and assist you to prepare any additional documents required. Sometimes an interview with an immigration officer will be convoked to answer questions about the application, including the development of the relationship between the couple. The interview will be held at a visa office and the sponsored spouse or partner will generally be the one being interviewed. If this happens, we will assist you to get ready for the interview by reviewing your file with you so that you remember everything clearly heading into the interview. Finally, once we receive your spouse or partner’s visa, we will forward it to you and provide you with instructions how to get landed as a permanent resident. Done!